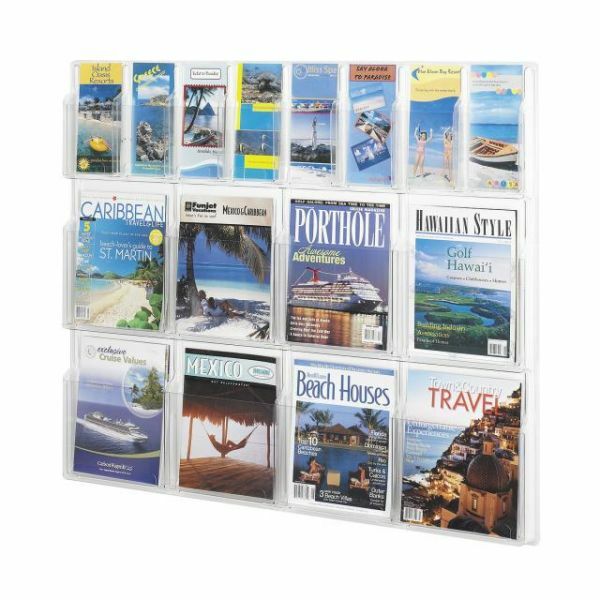 Safco Reveal Display Rack - Think outside the box by looking in! Reveal design displays literature clearly. Each pocket holds 1-3/4" of printed material. Thermoformed one-piece units have no sharp edges or corners. The displays are wall mountable with hardware included. Wire partition hangers fit all Reveal Displays.